Why DO Sellers Love Us? If you want to sell your home for the most amount of money in the least amount of time, you’ve come to the right place here at Astra Realty. We understand there are a lot of real estate brokerages in the McKinney area and you have choices. The level of care, service, experience, and attention you receive from us here at Astra Realty is unmatched and exceeds every other brokerage in the area. How do we know this? Because our clients tell us! Astra Realty the best real estate brokerage in all of North Texas. You simply won’t find anywhere else like us. 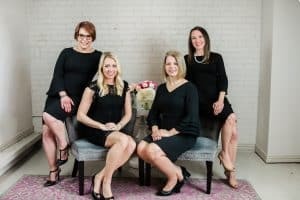 Starting with our sales and client service staff…we have a team of Realtors and client service staff that will personally guide you through each step of your transaction to serve you, keep you updated, and make your home selling experience a true enjoyment. Our Broker, Leslie Remy, has personally chosen and hand selected each one of our team members because of their passion, goals, and for the strengths that each one of them brings to make us all better. Our marketing is like no other brokerage in the area. We use our custom decorative luxury sign frames to call attention to your home. It’s part of the great first impression you want potential buyers to have of your home when they first arrive to see it. Since the large majority of home searches start online, giving your home a great first impression doesn’t stop in the front yard. We use industry leading professional photographers to photograph your home using natural light, which provides the best quality photos. These photos are also professionally edited to enhance the highlights of your home and add a natural dramatic effect. We don’t stop at photos to show prospective buyers how beautiful your home is, we also film Guided Video Tours. What’s a Guided Video Tour? It’s not those video photo slideshows that others often advertise as video tours. In our tours, we physically walk through your home and guide viewers as if they were touring it in person. What better way to show people how great your home is, than to actually walk people through it! We then have this high definition video edited to use as a paid advertisement on our social media channels, which we target to a specific group of buyers who we think, based on our experience and education, are interested in buying a home like yours. That’s right, we use our own money to run these ads and get your home the greatest exposure possible. We invest thousands of dollars of our own money every month to market our clients’ homes and find them the right buyers as quickly as possible. Why would we do this? Because we make a commitment to you and every client to do everything in our power to sell their homes as quickly as possible and for top dollar, and we take that commitment very seriously. The quick sale of our properties is a prime example that our proactive marketing really does work. Speaking of social media advertising…we have extensive experience and expertise in social media advertising that we put to work for you. We’ve had wild success using highly targeted paid social media ads to sell homes and increase the number of prospective buyers who view your home. We think these ads are so unbelievably important to a solid marketing strategy for you home, that we use our own money to run these ads. We’ve literally sold homes to people who first saw our Guided Video Tour and decided they wanted to see the home in person. After visiting the home, they made an offer to purchase it. These videos truly work, which is why we take the time to film them and spend the money to advertise them. In many cases, we’ll even make sure your home has it’s own website dedicated to marketing it. If you lived at 123 Main Street, prospective buyers could visit 123MainStreet.com to see everything about your home, from our description, to the professional photos and our Guided Video Tour. You never get a second chance to make a first impression. This saying is true throughout your relationships in life, and it’s also true in real estate. Your home’s condition and appearance has a lot to do with how long it will stay on the market prior to selling. Included with our listing your home for sale is an extensive staging consultation. We will walk with you room by room throughout your home and give you staging, decorating, and organizing ideas, and even suggest possible repairs to your home to make it ready for a quick sale. There are a lot of things that can be done for little to no cost but will yield huge benefits to you. Speaking of repairs…we have a carefully curated list of preferred and trusted service providers to help you with everything from air conditioner tune ups to replacing that leaky faucet you haven’t had time to get around to fixing. You’re busy, your time is valuable and you shouldn’t have to waste it searching for honest and reliable service providers. Once again, big or small, we’ve got you covered. We take a very proactive approach to selling each and every one of our clients’ homes. Are all of these things we do really necessary to sell their homes? We truly believe they are. There is a reason Astra Realty consistently sells homes significantly faster and for more money than other real estate brokers in North Texas. We do everything we can to keep our clients satisfied and happy. But don’t believe me, please check out our reviews on websites like Google, Facebook, and Zillow. See what our previous clients have to say about us. Want to talk to some of them? You’re in luck because we maintain a list of our previous clients who would love to tell you about their experience with us. In addition to all this, our Broker, Leslie Remy, has even written an actual book about buying and selling homes here in North Texas. She literally explains everything that needs to be done to sell your home for the most amount of money in the least amount of time, as well as explain everything involved in finding the perfect home for you. She even tells some pretty funny stories in there too. If you’d like her to send you a free copy of the book, just call, email, or text her, she’s always happy to help! If you are thinking of buying or selling a home, we here at Astra Realty will work hard to make the process as easy as possible. If you’re not quite ready yet and have some questions, we’d be happy to help there too. You can call, text, or email us at anytime convenient to you. We look forward to working with you soon!